More notes in your wallet and more coins in your pocket. 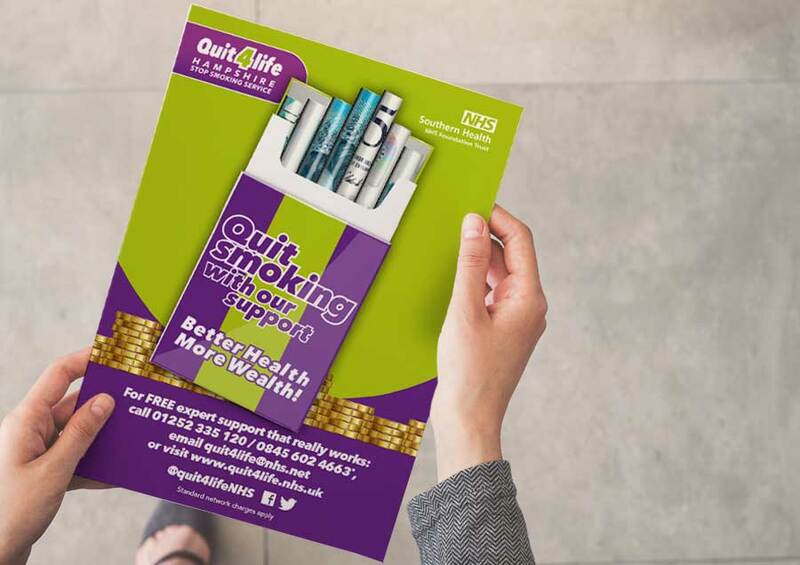 That’s one of many potential benefits of quitting highlighted in a marketing campaign for Quit4Life Hampshire Stop Smoking Service, launched to celebrate their tenth anniversary. 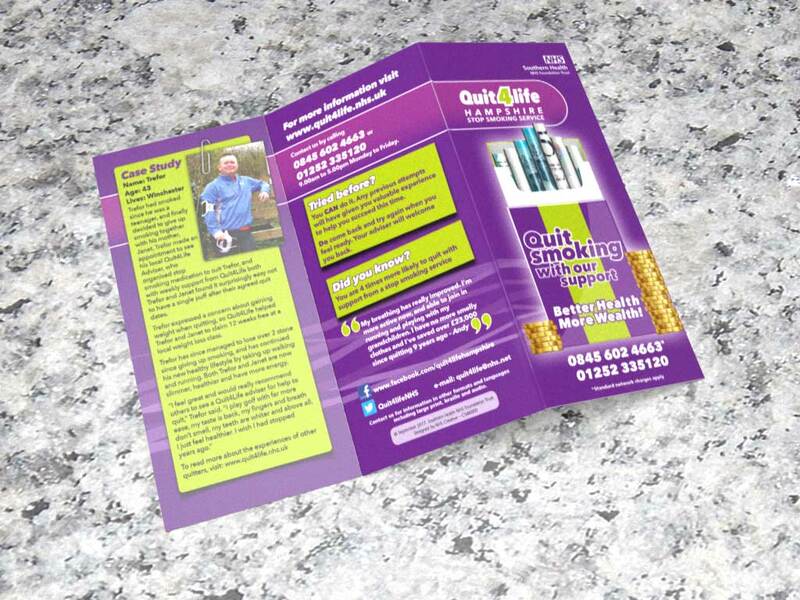 We developed a range of creative options, and after a consultation exercise with service-users it was the financial angle that found greatest favour. A further visual used a similar design style to represent vaping.